NC helix drill, 3xD~10xD indexable drill, power mill and boring tools. 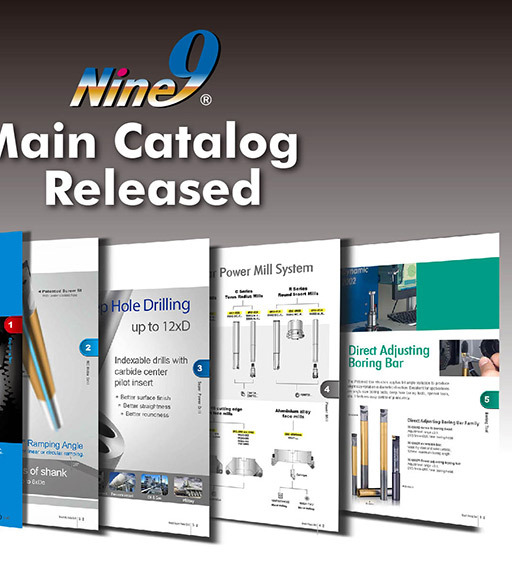 Please download the Nine9 main catalog here. The most important part of machining is cutting; almost all machining is related to cutting. The typical cutting is to remove unnecessary parts of the material, and it became chips, then the left part is component or workpiece. During the cutting procedure, cutting tool plays a very important role; it influences the smooth of cutting process, diameter accuracy, and shape of workpiece. The right tool will make you smile, but the wrong tool can make you cry. There have famous sayings: “Resources are hard to come by, so you must spend your money on the worth thing!” Indexable insert is the most important part while proceeding cutting mission. The cover page indicates a raw material, indexable inserts, and colorful chips. We are always aimed to help customers to complete their various tasks, produce high precision products, and create a future industry. It is the value and enthusiasm of our inserts. In inner page, there is a product milestone, patent timeline and worldwide selling map. Product milestone shows we are always develop new products and received numbers of US patent, therefore, there is no doubt “Nine9 is an innovation company”. 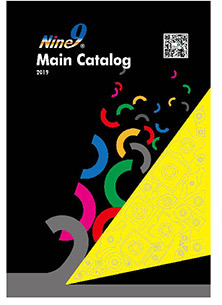 We hope you enjoying our new main catalog.